Once a year CEE Legal Matters places the spotlight squarely on the in-house lawyers in CEE, whose hard work often goes unnoticed since it only rarely – and in many cases never -- involves the execution of a huge deal. Nonetheless, these silent heroes play a critical part in ensuring their companies navigate increasingly complex regulatory seas with ease. 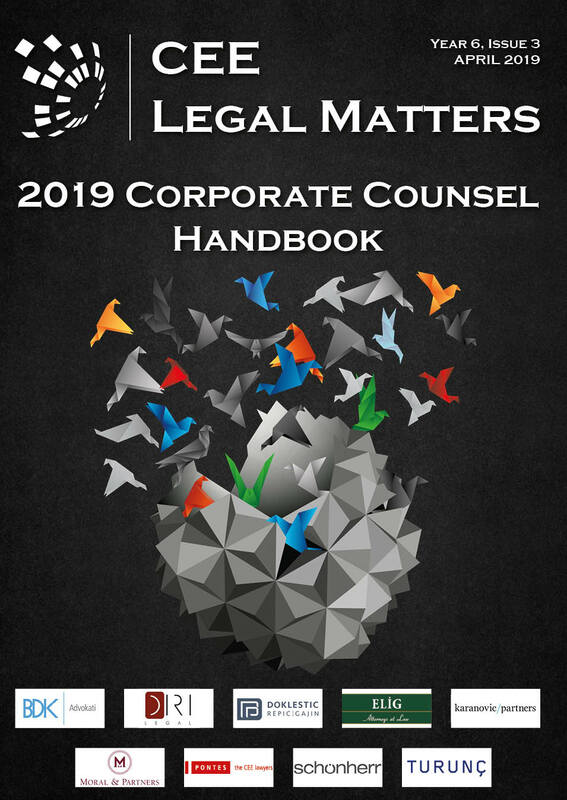 Thus, we are proud to put out this special issue each year, sometimes in the form of our biannual General Counsel survey, and sometimes – like in this issue – in the form of interviews and qualitative input. Either way, we celebrate the hard work of senior in-house counsel across CEE and to offer them a platform to exchange notes on best practices. As I write this, the March 28, 2019 Deal of the Year Awards Banquet in Budapest is about 40 days off. It looks like it’s shaping up well, but of course we’re still anxious. In 2018, you may remember, we had three major events in the first half of the year: The Dealer’s Choice law firm conference, the initial DOTY Award Banquet – Radu and I continue to hope the awards will, eventually, become known as “the Dotties” – and the annual GC Summit. We’re not doing Dealer’s Choice this year, and the next GC Summit will be in 2020, so we’re putting all our energy into this one event. 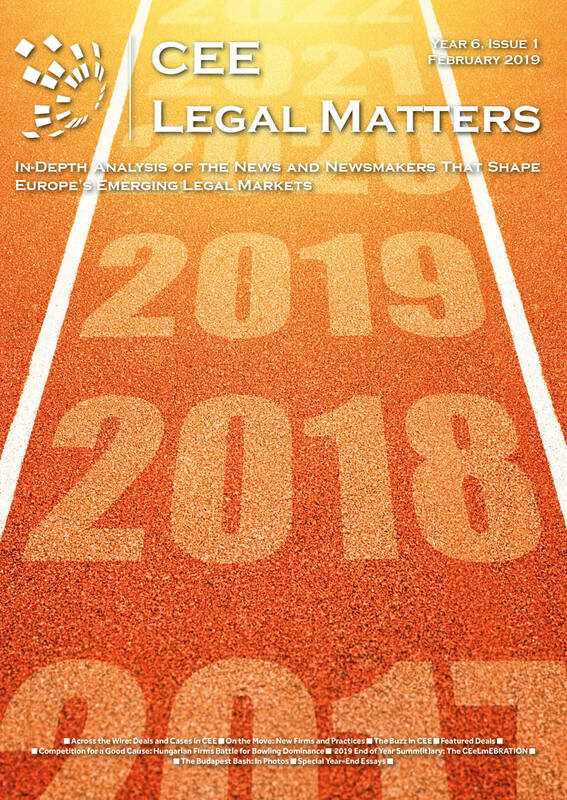 This issue, our first of 2019, is centered primarily around the 2018 End of Year Summit – our annual celebration, made with many of the lawyers from across CEE whose work we cover most often, of another successful year. This year’s event, on November 30, 2018, in Budapest, was attended by some 80 friends, making it our largest and most successful yet, and details can be found in our article on the event, on page 32). You can access the electronic version of the magazine using the link below or you can find the pdf version here. 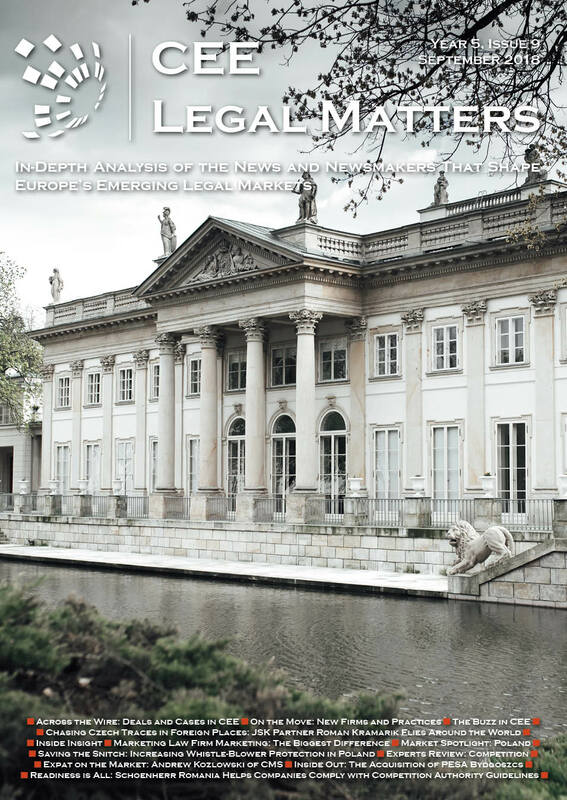 CEE Legal Matters: Issue 5.12. One of the famous benefits of age is perspective. Thus, at this point in my life, I have the dubious benefit of having experienced – either personally or through close association to friends – a number of unfortunate professional transitions and transactions, from lay-offs to split-offs, from hires to fires, from surprising offers to principled departures, and from proper and friendly changes in direction to abrupt and acrimonious departures. It has, already, in that sense, been a full life. It is almost a truism that professional changes – even surprising changes, involving the decision by a once-trusted colleague to join or lead the competition – should be accepted gracefully, professionally, with respect and decency. 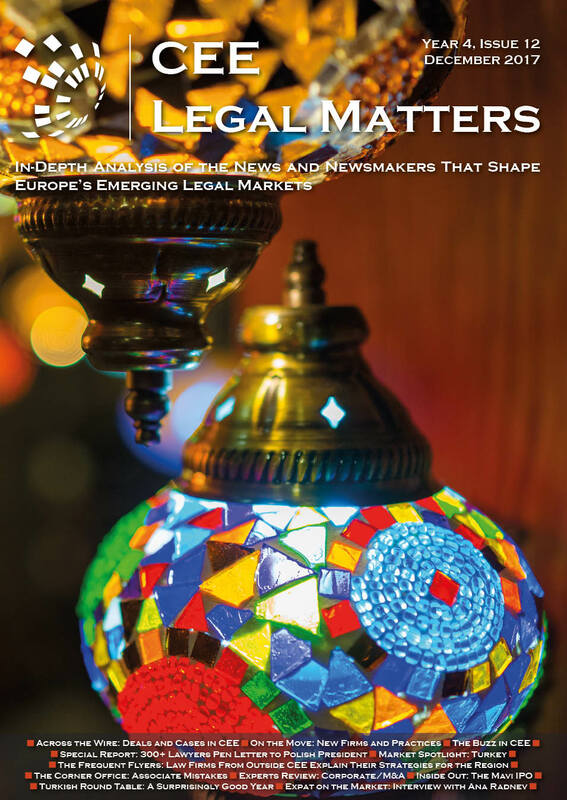 CEE Legal Matters: Issue 5.11. 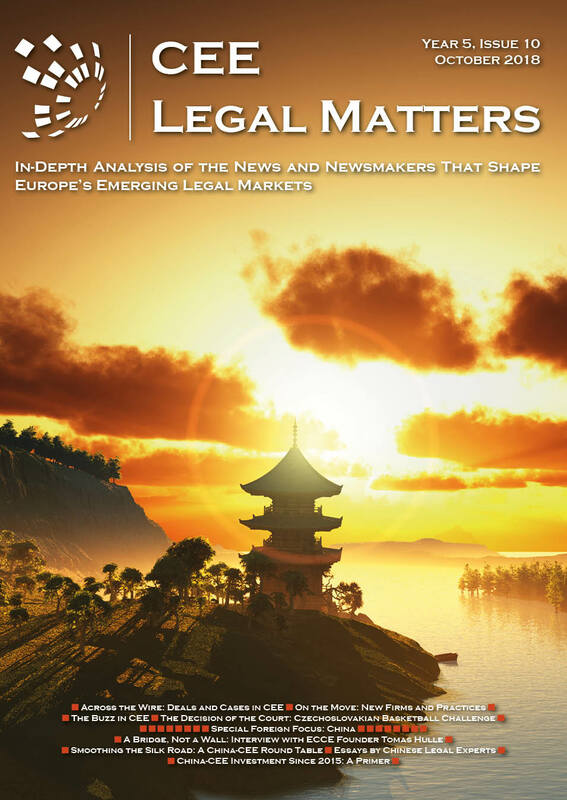 This special October 2018 issue of the CEE Legal Matters magazine, which focuses on China-CEE business and investment, represents the first issue ever dedicated to considering the ties between CEE and a particular foreign country. You can read the electronic flash version at the link below or access the pdf here. 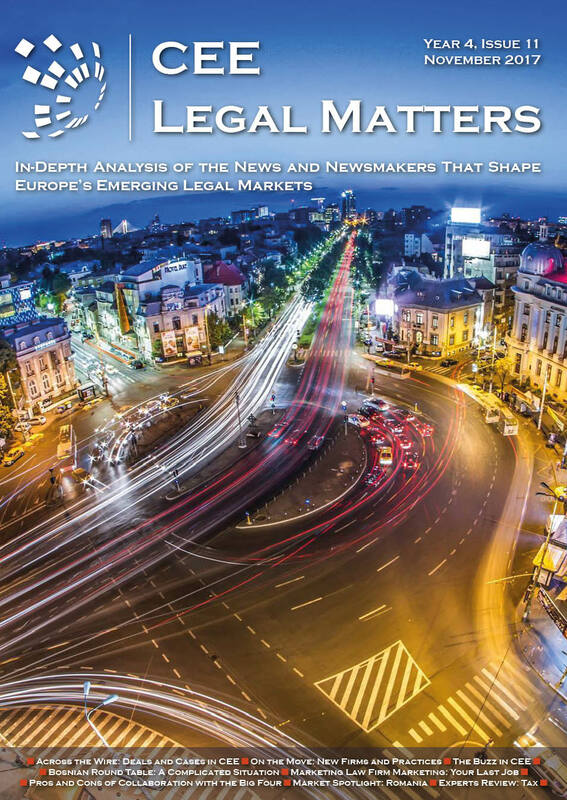 CEE Legal Matters: Issue 5.9. I am blessed to be a 50-50 co-owner in a business with a partner who, for all his quirks, is one of the less than 1% of this world’s population who is capable of putting up with my ample set of idiosyncrasies. I say blessed – and I recognize that I am – because twice in this last week I had conversations with friends in other lines of work who own minority stakes in small- or mid-sized businesses that they are struggling to get out of. In the most unfortunate of the two scenarios, my friend’s decision was prompted by his exclusion from any real decision-making as a minority shareholder and, now that his decision to exit has been made, he is facing real difficulties in agreeing with the other partners on an exit strategy (or even having the semblance of a semi-civilized conversation in the process of finding one). My university’s fight song, “Hail to the Victors,” describes the school’s sports teams – and perhaps, by extension, the university itself – as “the leaders and best.” This refrain, written in 1898, is put to voice by over a hundred thousand (American) football fans six or seven fall Saturdays each year at Michigan Stadium – the third largest in the world. 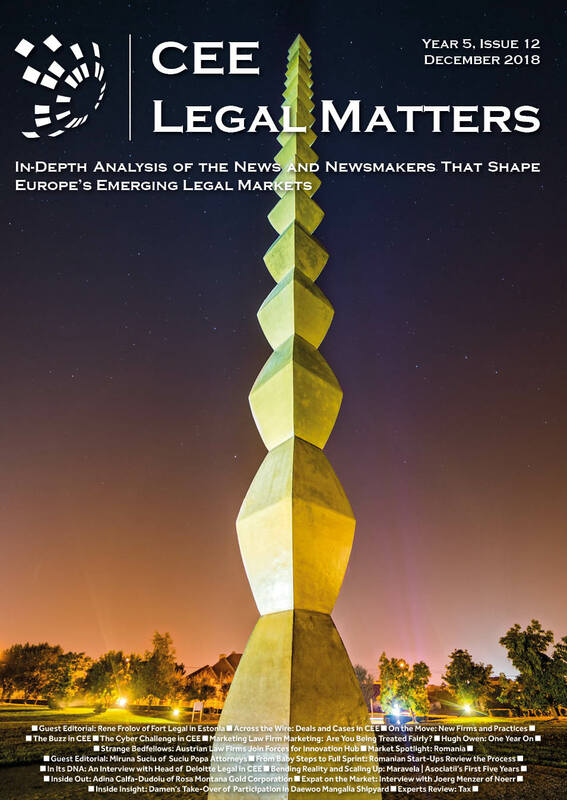 CEE Legal Matters: Issue 5.7. It turns out that the common understanding that all sharks must move forward or die is more myth than fact. That said, there are some sharks that must swim constantly in order to keep oxygen-rich water flowing over their gills, so there is at least some truth in the old saying. 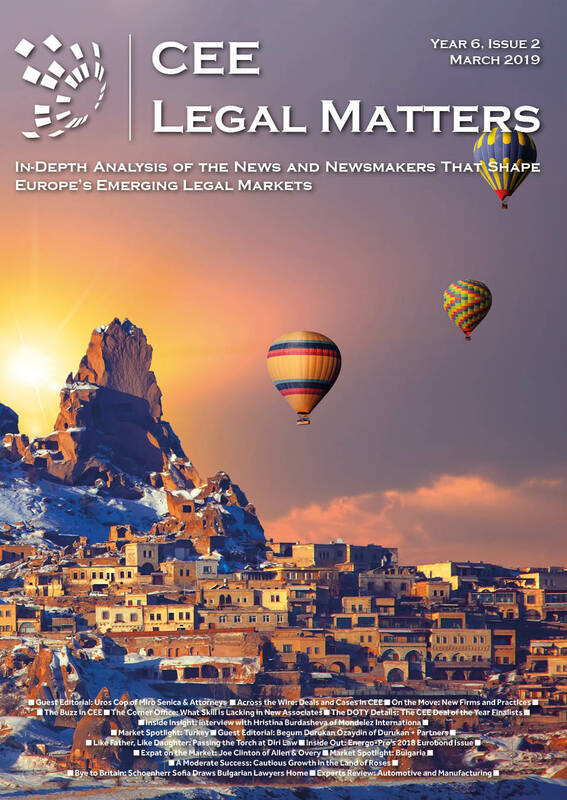 CEE Legal Matters: Issue 5.6. On Monday, June 4th, we hosted a Round Table conversation with four eminent Czech and Slovak practitioners at the offices of Kocian Solc Balastik in Prague to discuss the idiosyncrasies and challenges of the Tech/Start-Up market in both countries (report on page 34). You can read the electronic flash version at the link below or access the pdf version here. 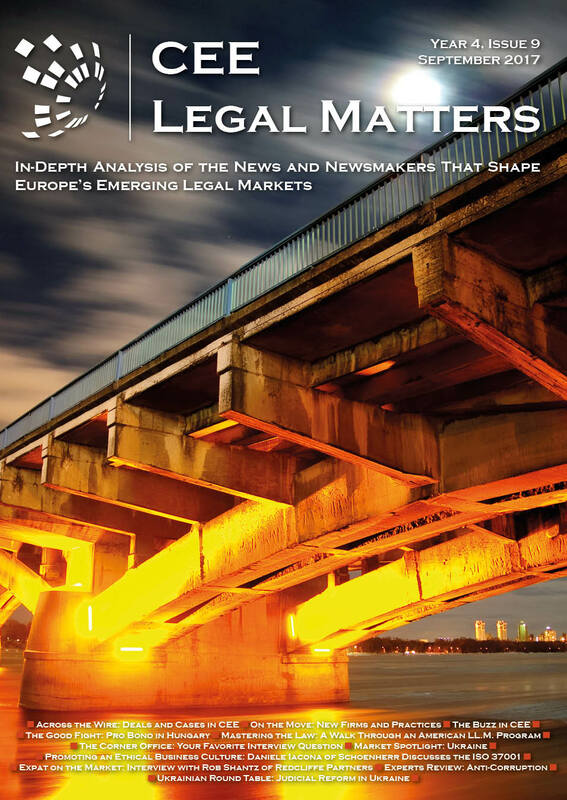 CEE Legal Matters: Issue 5.5. It’s been a busy period here at CEE Legal Matters, as we ramp up for the Dealer’s Choice conference, the Deal of the Year Awards Banquet, and the two-day GC Summit, all happening between June 6-8 in Prague. 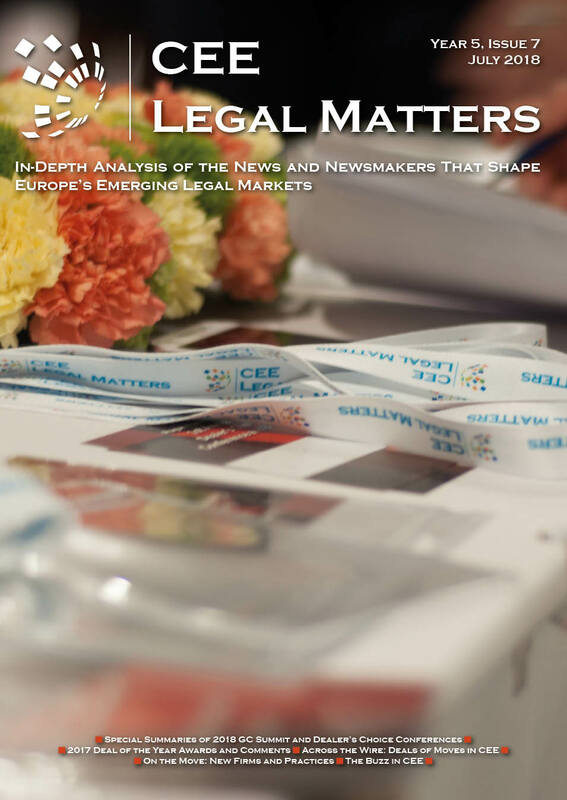 Putting together one major event is already a serious challenge – putting together three major events, running back-to-back-to-back (while, of course, keeping up with the demands of the CEE Legal Matters website and this here monthly magazine), is … well, as I said, it’s been a busy period. 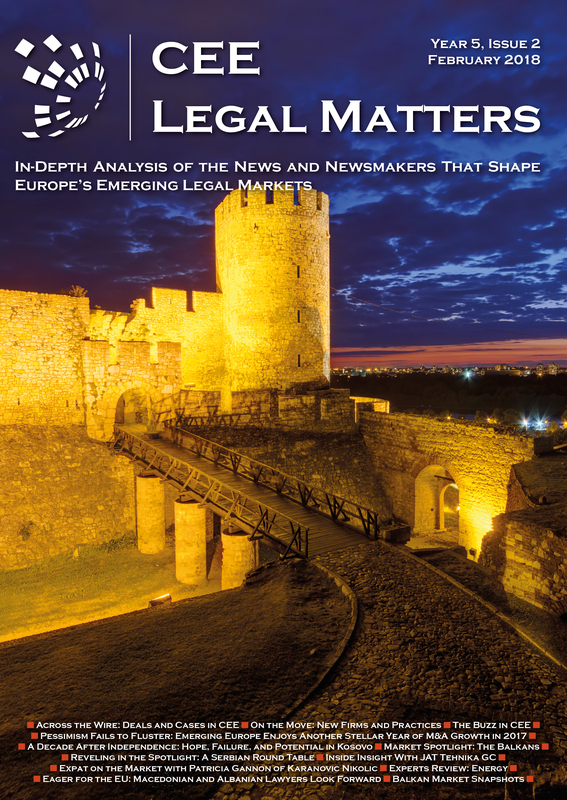 CEE Legal Matters: Issue 5.3. It’s Wednesday evening, March 21st, and I’ve stopped at a local wine bar on the way home for a glass of Hungarian cuvée, a piece of carrot cake, and a brief break from our new normal at CEE Legal Matters: the desperate, manic, exhausting attempt to keep our heads above water. Not that things are bad. Far from it! The problem is that we have so much going on. Our schedule is so packed – a monthly magazine, four special issues, a website requiring daily updates, and this year, for the first time ever, six major events – six! – that we’re paddling as fast as we can just to keep afloat. 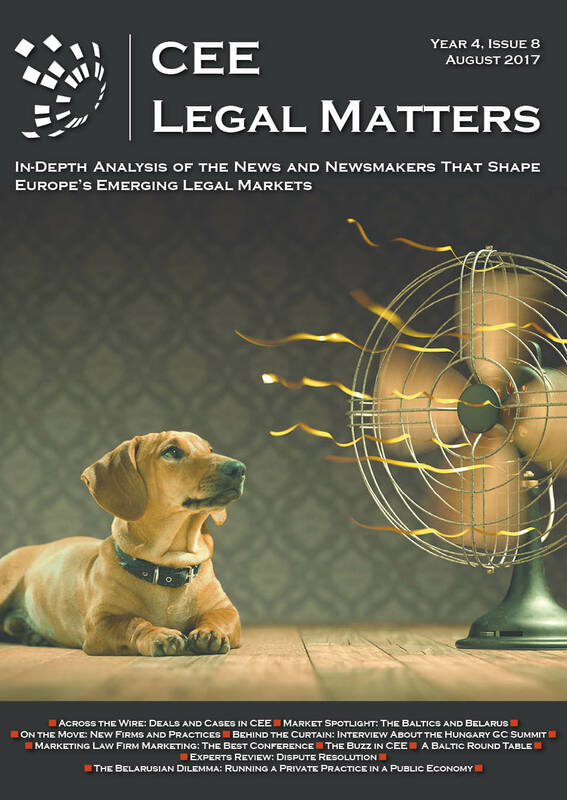 CEE Legal Matters: Issue 5.2. David’s editorial in our last issue included a brief explanation as to how CEELM came to be, and included the words: “Because CEE as a thing certainly existed.” I am uncertain to what extent that provided an inspiration for it, but ironically in this issue we have two pieces (see pages 4 and 38) that address, more or less directly, the question whether it still exists “as a thing” today. This CEELM editor thinks it does – but it’s definitely changing. 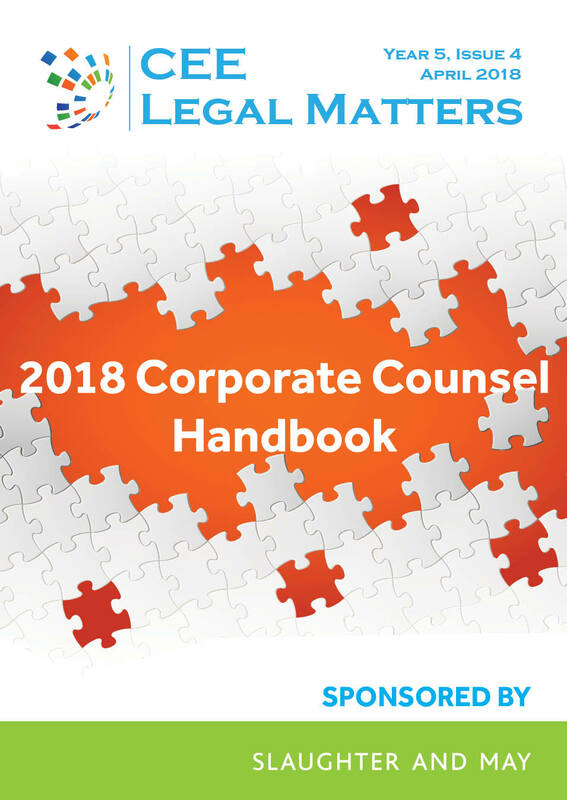 When I lived and worked in Brazil in 2010-2011 I came across a particular English-language publication dedicated to the many legal markets of Latin America, positioned prominently in every law firm lobby and on the desks of most partners and General Counsel. At the same time, although many of the countries in Central and Eastern Europe had local publications, usually in the local language, there was no commercial publication covering the entire region, in English or any other language. When I returned from South America to CEE in the fall of 2011, with the knowledge of that Latin American publication in mind, that gap struck me as especially curious. 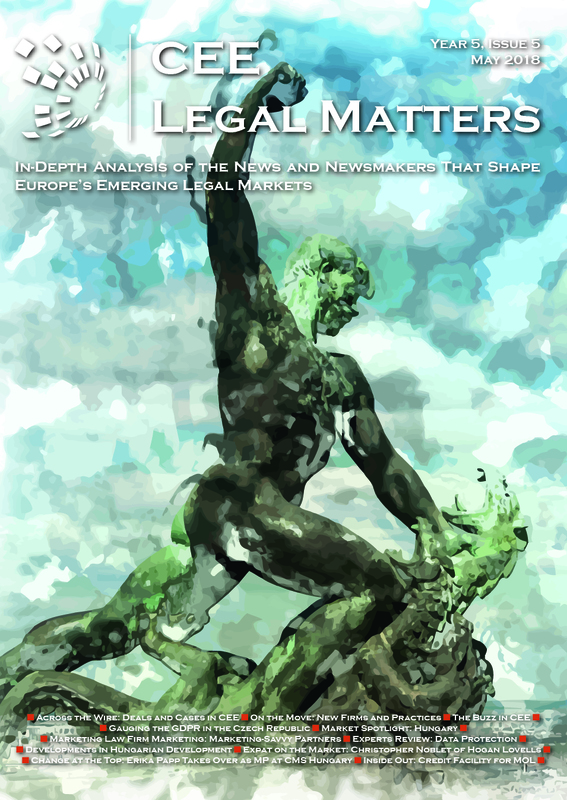 CEE Legal Matters: Issue 4.12. Just recently, Radu and I brought two staff writers on board – our first, after four years in business. Their names don’t appear in this issue, but you will start seeing them, we hope, pop up frequently in future issues. In the meantime, their bylines have already started appearing on the CEE Legal Matters website. Their introduction and familiarization with the jargon of the business law firm world represents an education – both for them and for us. I find myself sympathizing with their struggle to understand why a firm with one office in CEE (but none in London) that calls itself “international” and which works in English and serves foreign clients does not fall within our definition of an “international” firm, but why a firm like Slaughter and May, which has no offices in CEE [see page 24], but does have an office in London, does. 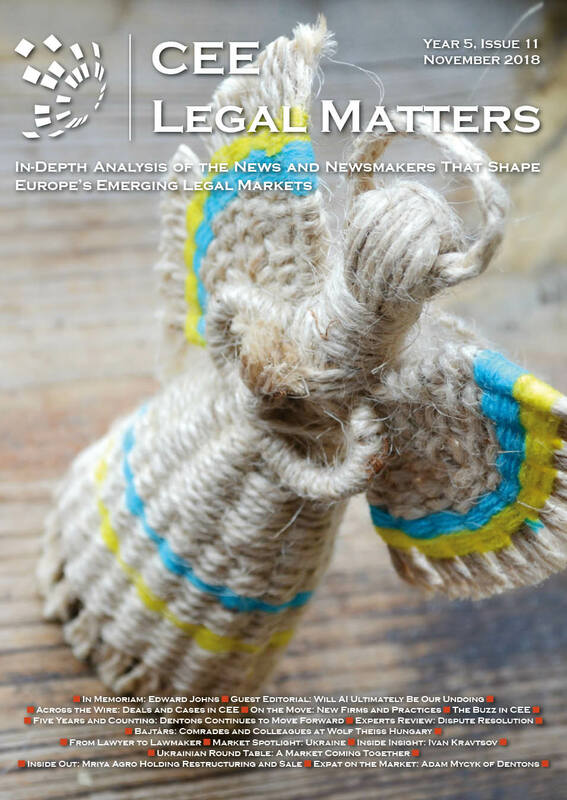 CEE Legal Matters: Issue 4.11. Every October, for some reason, even as we lunge for the end of the year like a marathon runner approaching the tape, we find ourselves overcome with the urge to increase our output, expand our platforms, and grow our company. Last year, for instance, we decided the time had come to move to a monthly from a bimonthly publishing schedule. This year is no different. Thus, as careful observers of the CEE Legal Matters website know, we have announced that we will be introducing three new events to our annual calendar: The CEELM Deal of the Year Awards, the CEE Legal Matters Annual Banquet, and the Dealer’s Choice conference. 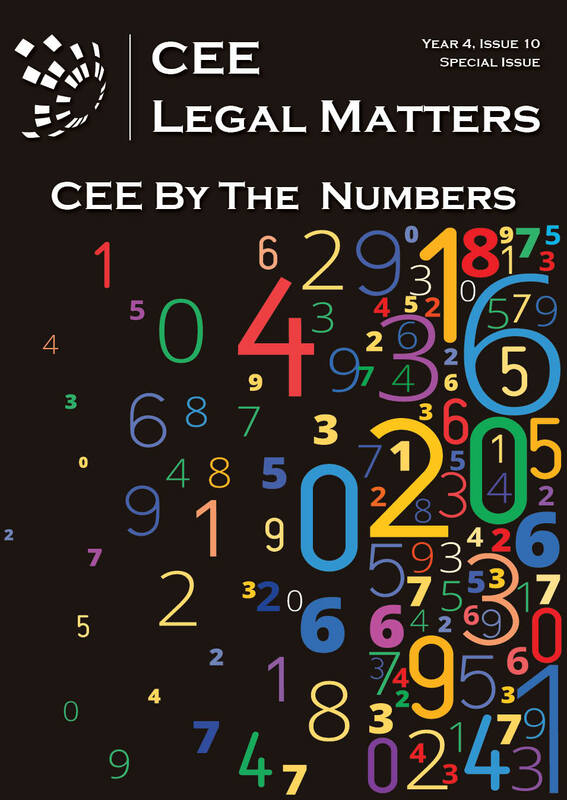 This is CEE Legal Matters’ second CEE By the Numbers report, following the successful introduction of the report (then called the “Glass CEEling” report) back in 2014. 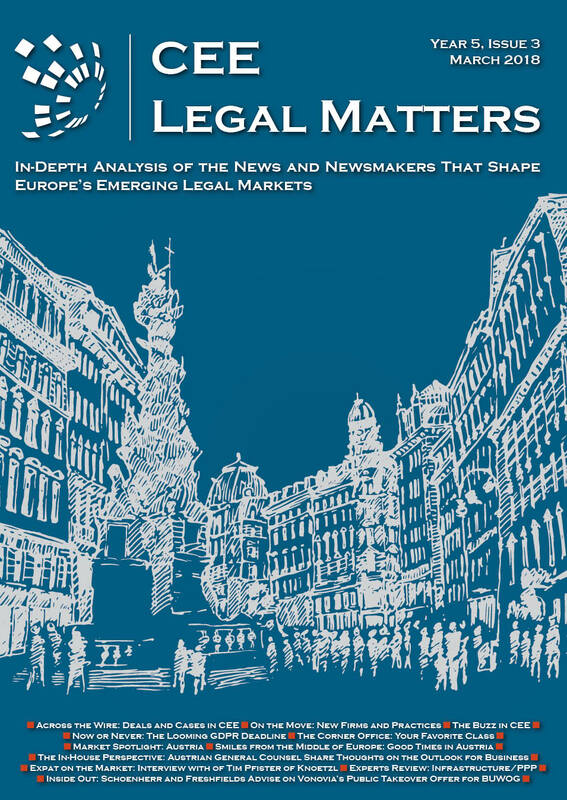 The fact that it’s the second report is significant, because it allows us not only to track and report on important data about the law firms and legal markets of CEE, but also to assess how that data has changed since we first carried out the exercise three years ago. The results, we believe, are revealing and encouraging. 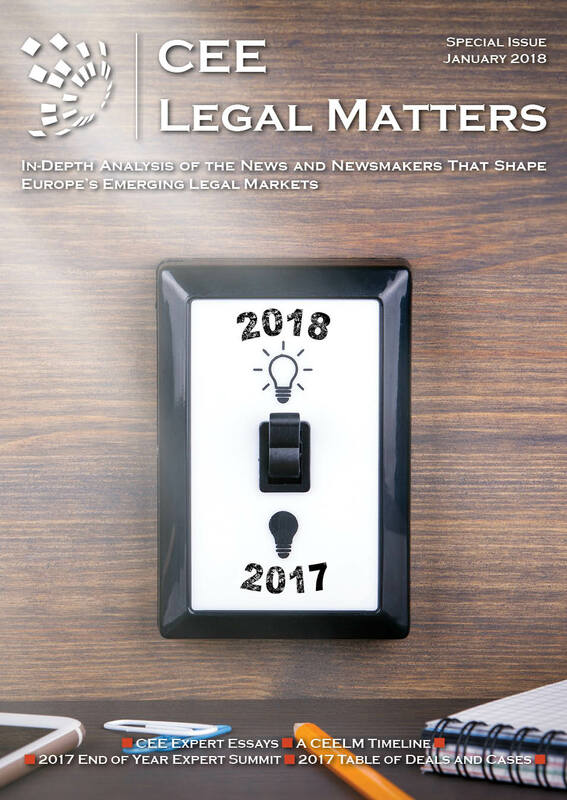 We hope the contents of this report are both interesting and useful to our readers, who can expect to see data from this special report cited in articles in the CEE Legal Matters magazine for years to come. 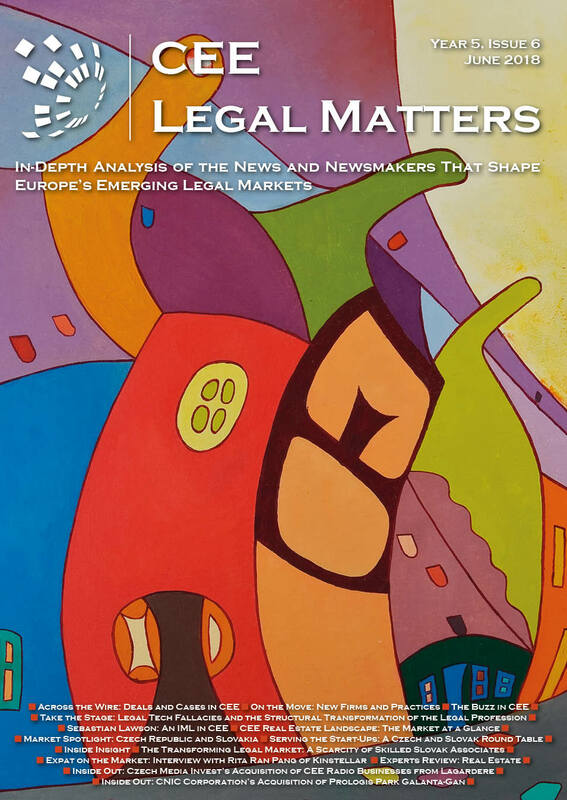 CEE Legal Matters: Issue 4.9. I received my law degree from the University of Virginia School of law, so you may not be surprised to learn that the interview I conducted with Polly Lawson, the Assistant Dean for Graduate Studies at that law school produced a flood of memories in me. What may be more surprising is how many of them are CEE-related. In fact, my decision to attend the University of Virginia came as a result of my experiences in Central and Eastern Europe – and the law school, in turn, was a key factor in getting me back here. A pivotal experience, in all senses of the word. 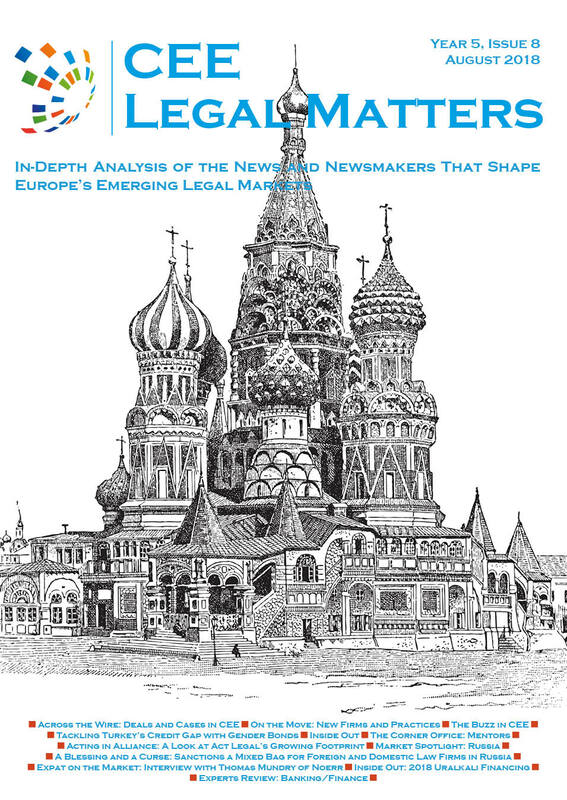 CEE Legal Matters: Issue 4.8. The ancient Romans called the hottest, most humid days of summer “dog days” because they associated the hottest days of summer with the star Sirius – named the “Dog Star” because it was the brightest star in the Canis Major (Large Dog) constellation. Indeed, Sirius is so bright that the Romans believed it radiated extra heat toward Earth, adding to the Sun’s heat to generate those oppressive, sweltering summer days we know so well. And increasingly, the Dog Days of summer in this part of the world – at least in Budapest, this airless capital of the Pannonian Plain – are getting more painful. Days with temperatures in excess of 36 degrees, once fairly rare, now regularly extend over multiple weeks, sometimes several times in the same year.